Google has announced that it is expanding its Safe Browsing technology to protect users from “deceptive embedded content” such as online ads that attempt to trick people into revealing personal information or masquerade as trusted entities requesting updates. “Today, we’re expanding Safe Browsing protection to protect you from such deceptive embedded content, like social engineering ads,” wrote Lucas Ballard, a senior staff engineer on the Safe Browsing team. 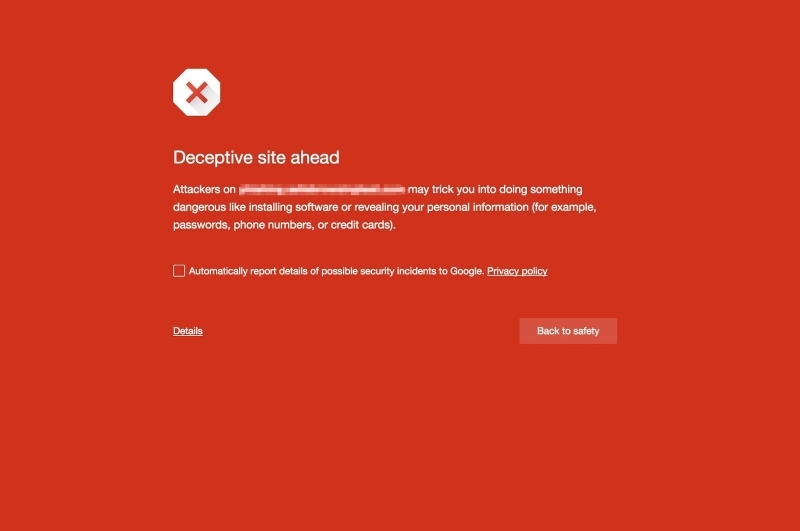 Google improved its Safe Browsing initiative – launched eight years ago - in July last year as a way to warn users about a wider variety of unwanted software, in addition to the warnings they see regarding phishing pages, malware, and other threats. The technology was expanded last November to protect users from social engineering attacks. The new update covers scam ads such as those that falsely claim a system needs updating, fake security alerts, third-party media players, and deceptive download buttons. These often download malicious software or take users to unsavory sites that offer subscriptions or attempt to steal personal information and banking details. "These buttons seem like they will produce content that relate to the site (like a TV show or sports video stream) by mimicking the site's look and feel. They are often not distinguishable from the rest of the page,” warned Ballard. Users visiting sites that contain deceptive embedded content will be met with the ‘Deceptive site ahead’ warning seen at the top of this page. Google has said that the updated Safe Browsing feature may have an impact on legitimate websites that display these type of ads. "If visitors to your website consistently see social-engineering content, Google Safe Browsing may warn users when they visit the site," Google notes. While tech-savvy internet users know to avoid these kind of ads like the plague, not everyone realizes the dangers they pose. Google’s crackdown is a welcome one, and will no doubt result in number of Safe Browsing warnings – already at more than 5 million a day – increasing drastically.